This past week brought drier conditions across the state. Northern Iowa appreciated the chance to dry out some, but parts of southern Iowa could really benefit from some much needed rain. Check out what Iowa State University Extension and Outreach field agronomists have been seeing in fields across the state over this past week. 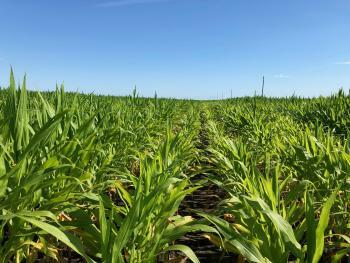 Corn stunted from waterlogged conditions that is in the V14 stage, compared to the rest of the field which is at VT. Photo by Paul Kassel. Soybean defoliation injury is often over-estimated. These leaves show various levels of soybean defoliation. 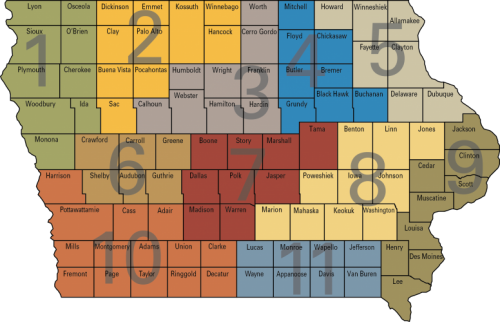 Source: University of Nebraska Extension. 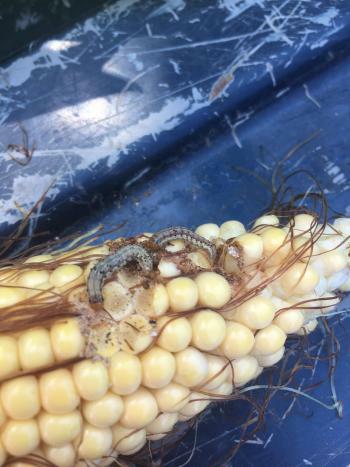 Corn earworms found feeding on the tip of some field corn in Appanoose County. Photo by Josh Michel.